Cosalá—Pueblo Mágico and Day Trip from Mazatlán | ¡VidaMaz! 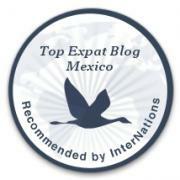 In early December we travelled to Cosalá to see the Festival of Candles, on the Virgin of Guadalupe Day this year. We’ve been to Cosalá previously, and have always loved it. It’s a very picturesque little town, Sinaloa’s first Pueblo Mágico (so named in 2005), and very deservedly so. It’s a bit farther away than some of our other favorite day trips (2 1/2 hours from Mazatlán), but well worth it, especially when there’s a special event. The town’s proper name is Real de Minas de Nuestra Señora de las Once Mil Vírgenes de Cosalá (Royal Mines of Our Lady of the 11,000 Virgins of Cosalá, after the legend of Saint Ursula) and it dates from 1550. The town is beautiful and very well maintained, with cobblestone streets and gorgeous architecture, including many adobe buildings. You won’t find any neon signs here; signs for the town’s businesses, even the international ones like BanaMex, are hand-lettered, as you can see in the photos below. The historic downtown has a central plaza with a beautiful 1800s-era gazebo/kiosko, and the house of the Hernandez Arragon is said to have a ghost—the Woman in White. 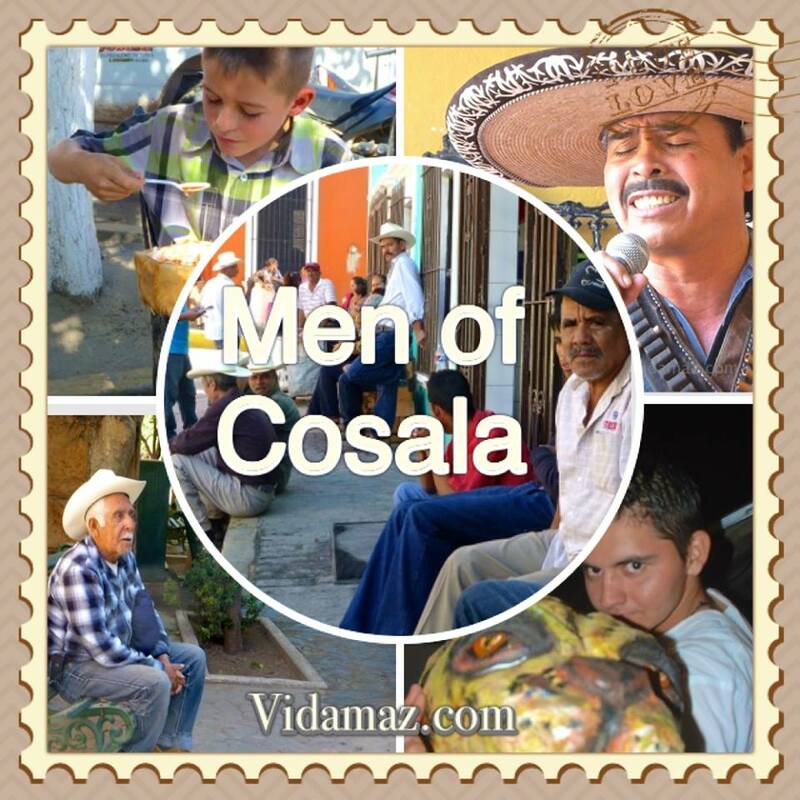 You can find Cosalá listed on UNESCO’s website. Cosalá was a very wealthy mining town, and its mines are active today as well. Cosalá was the original capital of the western states (parts of Sinaloa, Sonora and Arizona) back in 1826, and home to the state’s first newspaper. It’s current population is about 20,000. A favored son was Luis Perez Meza. The people of Cosalá have always fascinated me. There is a dignity and quiet, joyful pride about them. Here are just a few of the folks we happened by this last visit. We made our journey with our friends Sandra and Héctor, who seem to know everyone and are widely beloved around southern Sinaloa. They arranged for us to have a private performance in the absolutely gorgeous Museum of Mines and History. One of the local teachers, Gregorio Corrales Herrera, who is well-known in Mazatlán for his singing as well as his folkloric dance troupe, conducted the show for us. The town’s Tourism officer, the lovely Martha Susana Aragón Navarro, welcomed us. The night before, during the Fiesta de las Velas, we had greatly enjoyed the jaguar dancers. On this day, therefore, we were so excited to meet a few of them in person, and I was especially thrilled to learn how the “roar” of the jaguar worked—pull drums called rotares. Just down from the main church on this very sunny day, we came upon a man who advertised chicharrones de res or fried beef. Since it’s much more common to see fried pork, this really interested me, and we stuck around a while to watch. After the gorgeous Fiesta de las Velas the night before, the following morning we went to breakfast at Restaurante El Pueblito. The homemade sweet breads were to die for, as was the coffee and food, but the highlight of the experience was the parrot, who just couldn’t control himself. He was everywhere, climbing up the table, eating off our plates. The waiter removed him once, and then the second time had to actually replace him into his cage. Naughty bird! There are two main churches in town, the Templo de Santa Úrsula, and the Chapel of the Virgen de Guadalupe. There are also two convents: Jesuit and Franciscan. Saint Ursula Temple dates from the 1700s, though there was a church on this site from the 1600s. We had been told that a gentleman in a small nearby town, El Rodeo, made fruit preserves that were unbelievably tasty, so we took a drive. The preserves were made from squash, sweet potato and green papaya, cooked over open fires with lots of sugar and a bit of spice. It was a charming journey, and we bought several kinds of preserves for Christmas gifts. Interestingly, one of the shows we enjoy, Saboreando Ando, was in El Rodeo filming an episode. It was rather fun watching Guillermo Guerrero record his interviews. Below are some photos of that, and following the photos I post the copy of Memo’s Saboreando Ando episode on Cosalá. Next time we go, we want to stay at La Reserva Ecológica el Mineral de Nuestra Señora la Candelaria. Designated an ecological preserve in 2002, there are a hotel, hostel and cabins here, lots of hiking, flora and fauna and, we are told, green macaws. I can’t wait! Near Cosalá there are also thermal baths (San José de las Bocas), a cave with stalactites and stalagmites, as well as a couple of waterfalls (Vada Hondo and Caudal del Arroyo del Sabinal). There are quite a few places to spend the night, and plenty to see, so though it’s an easy day trip, you might want to spend the weekend or a few days. Enjoy! Cosalá is a little more than halfway to Culiacan from Mazatlán and well east of the highway. To get to Cosalá, take highway 15 heading north— the old (free/libre) road towards Culiacan. You will go pass exits for El Quelite and San Ignacio and still have a ways to go. It is about a 2-1/2 hour drive from Mazatlán, but well worth it. The views are wonderful. As the road is very isolated and not lighted, we do not recommend making this drive at night. Also, use caution as it is a two lane road and you can encounter an animal or slow-moving vehicle around any turn. Love your close-to-Maz adventures. Thanks for the pictures and descriptions. Yes, I think have one more to go to catch up from Christmas/New Year’s tours with friends. So glad you are enjoying them, Kathie!